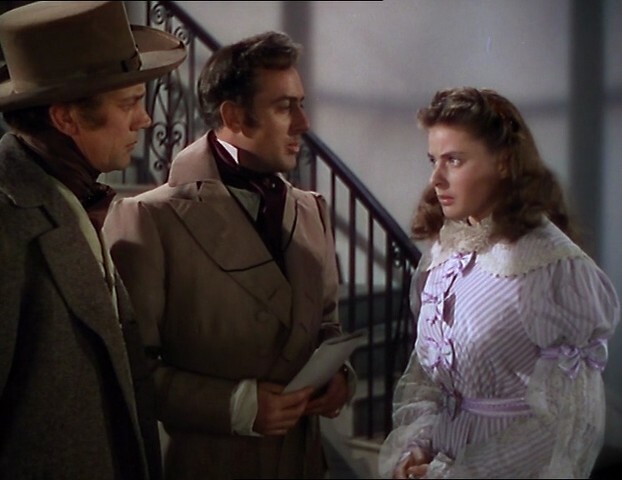 Although John Colton’s and Margaret Linden’s onscreen credit reads “by”, they had actually written an unproduced and unpublished play based on Helen Simpson’s novel. The novel was adapted for the screen by Hume Cronyn and was the basis for the screenplay. In this film, Alfred Hitchcock continued to experiment with long takes, a technique that he began in Rope, which was also adapted by Cronyn. 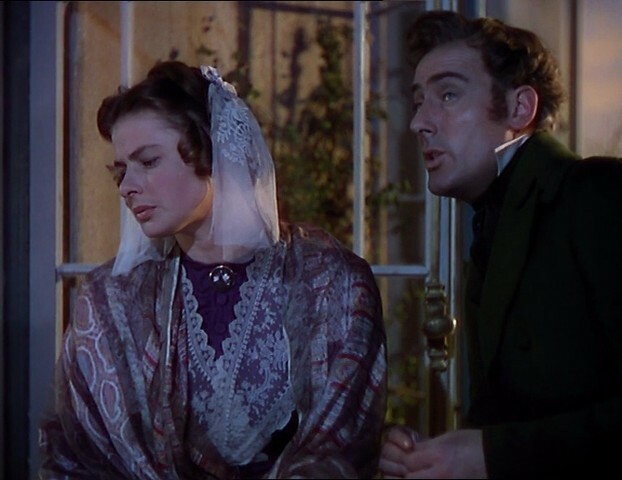 Ingrid Bergman’s monologue, during which she relates the story of her marriage to “Flusky,” the subsequent shooting of her brother and their experiences in Australia, lasts nine and one-half minutes and was shot in one take. 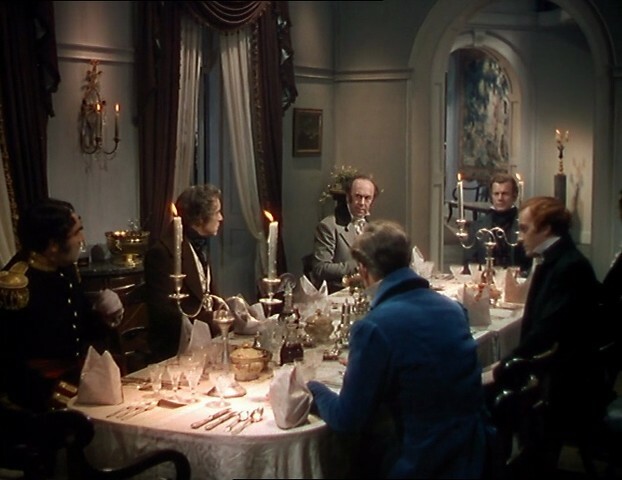 A dinner table sequence runs more than seven minutes without a cut. 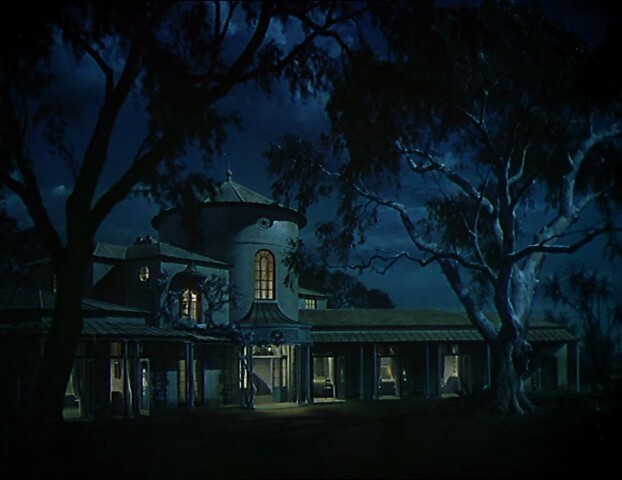 Most of the picture was filmed in London and the English countryside, according to an October 11, 1948 news item in Hollywood Reporter, but some scenes were shot on the Warner Ranch in Calabasas, CA. On August 26, 1948, Hollywood Reporter reported that Hugh Reticker would be the art director on the film when the production returned to the United States, but the extent of his contribution is undetermined. According to modern sources, the columned facade of Canoga Park High School stood in for the exterior of Government House in Sydney. Hitchcock makes his customary cameo in Under Capricorn by appearing as a man standing in front of Government House. 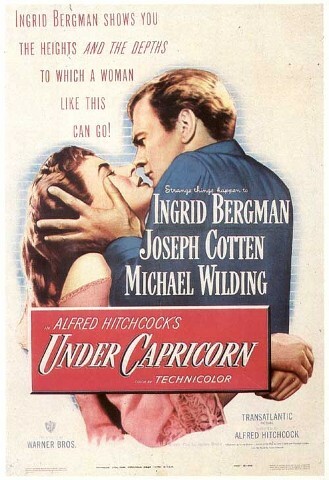 Modern sources add the following information about the production: Hitchcock bought the dramatic rights to Under Capricorn in 1945 for the token price of $1.00. Although Hitchcock had planned to film Under Capricorn before Rope, Bergman’s prior commitments delayed the production until 1948. The film was the second and last production of Transatlantic Pictures. Modern sources add that the film lost money and was repossessed by the bank.